Robert Blabert, whose father was killed in World War II's African Campaign, is intrigued by tales that Rommel's treasure is hidden somewhere in the desert. He convinces several friends to join him on an expedition to find the gold. Kurt, a German war veteran, also seeks the treasure...but he finds a horde of terrifying zombie soldiers who have slept beneath the sands for forty years. Meanwhile, Robert's party is joined by archaeologists Conrad and Erika. 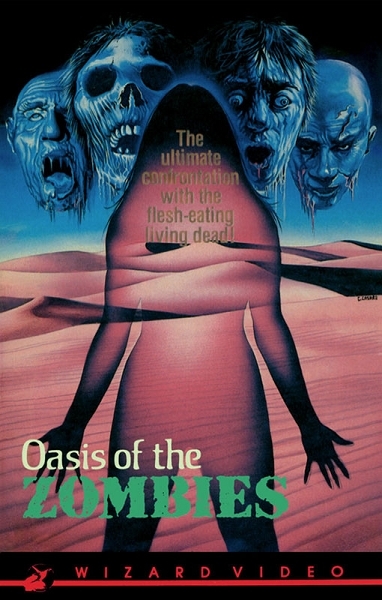 Together they find the dying Kurt, who warns them of the Oasis where the Undead lurk. Ignoring Kurt's advice, the adventurers march on to the Oasis, only to find themselves among the unstoppable zombies who guard the hidden riches!